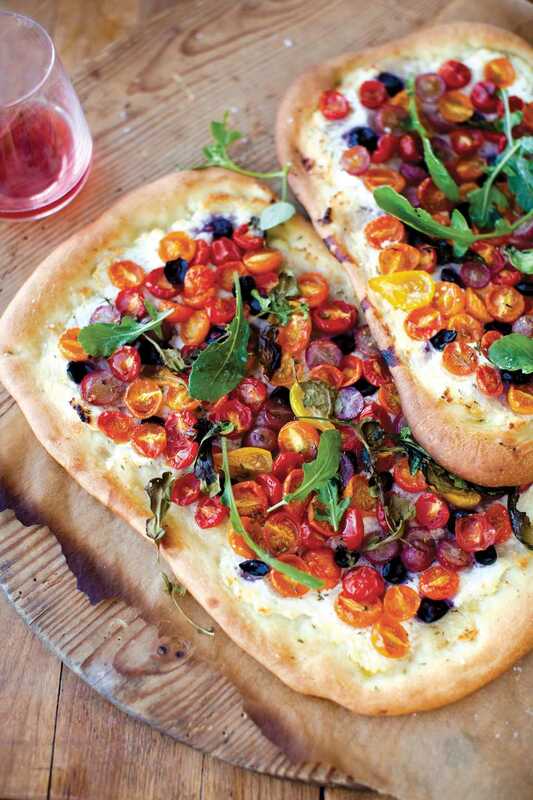 “Can toast six slices of bread or cook a 12-inch frozen pizza or whole chicken." "A sleek appliance that can fry, roast, bake, toast, and more." This oven will toast six slices of bread or cook a 12-inch frozen pizza, whole chicken, or a 9- x 13-inch pan of brownies. There is only one rack, but there are two rack positions, so you can fit taller foods or pans. Preset cooking functions include bake, convection bake, broil, toast, pizza, defrost, and warm, and the functions offer a suggested time and temperature, but you can adjust both the time and temperature for your recipe. You can set the toast function for light through dark toasting. There’s an internal light so you can check the progress of the food as it cooks. While this is rated to hold a 9x13-inch pan, it has to be one without handles. A straight-sided metal baking pan will fit no problem; your 9- by 13-inch Pyrex dish will be too long. This oven may be smarter than your current oven, with 10 preset functions and an auto-shutoff feature. There are independent heating elements that the oven automatically adjusts for precise cooking. Meanwhile, the oven suggests the time and temperature for the presets, and remembers your selections so you can cook the same thing the same way the next time. It has temperature conversion and frozen food functions, and can keep food warm for up to two hours, just in case someone’s late coming home for dinner. The slow-cook function is ideal for foods that need a long, slow cooking time, and it has a convection fan for even, speedy cooking. The oven comes with a 12-inch-square baking pan, a 12-inch-square broiling rack, and a 13-inch nonstick pizza pan. If you’re using your own cookware, this will handle most 3 1/2-quart Dutch ovens with their lids, or a 5-quart Dutch oven with foil in place of the lid. One small feature that makes a difference for many users is the replaceable internal halogen light, so cooks can check the cooking process without opening the door and taking the food out to get a good look. If you’re looking for a compact, budget-friendly toaster oven that can toast your bread and heat your pizza, but you don’t need an oven-replacement, this one fits the bill. It can toast up to four slices of bread at a time and it has space for a 9-inch pizza. This has functions for baking, broiling, toasting, and keeping food warm. For toasting, it has different toast settings so you’ll get just the right level of brownness, and the 30-minute timer lets you cook foods longer. The removable crumb tray makes it easy to clean. This comes with a baking pan, broiling rack, and toasting rack. If you prefer a toaster oven rather than a standard toaster, but you don’t need something that can replace your full-size oven, this budget-friendly little toaster oven will make four slices of toast at once, and it will happily reheat your leftover pizza. It has a 30-minute timer that can also be set to stay on for longer cooking times. There are two different positions for the rack, so you can adjust for taller foods and the best toasting. 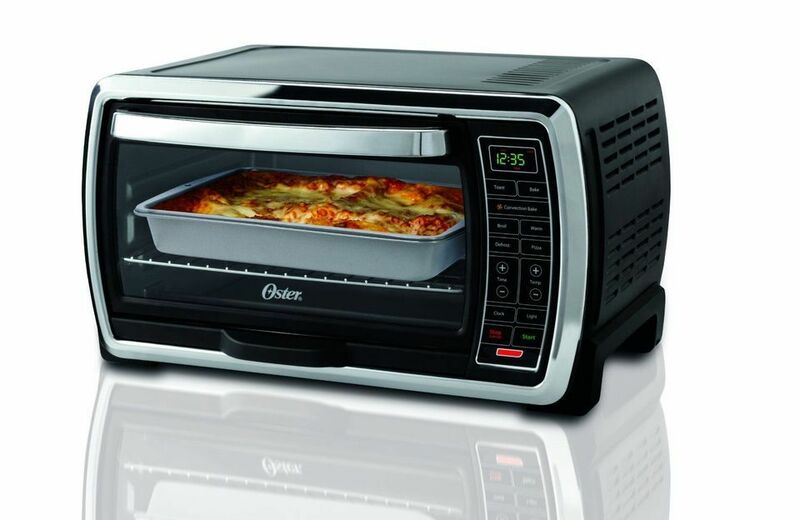 It operates in either toasting mode (cooking on both sides) or broiling mode (heating from the top only). The temperature is adjustable up to 450 degrees, or choose light, medium, or dark for your toast. This has a smooth black finish, silver-colored accents, and two knobs for controlling time and temperature. The curved edges make it reminiscent of an old-school radio. The door handle stays cool, so you won’t need a mitt to open the door. This includes a removable crumb tray for easy cleaning, and a baking pan. This appliance is a full-featured oven that can also toast your bread or bagels. It has nine preset functions: bake, pizza, asado roast, toast, broil, cookie, bagel, keep warm, and reheat. The asado roast function is unique. It starts with convection to brown and crisp the exterior of a roast, then the fan turns off and the food continues to cook more slowly, so the interior is cooked perfectly. There’s a 120-minute timer to remind you when your food is done and the oven’s interior has a nonstick finish for easy cleaning. This oven has two racks, so you can cook two 12-inch pizzas at once, or you can cook with a single rack in the upper or lower position. It includes a 12-inch square non-stick multipurpose pan, a 12-inch-square broiling rack, a cooling rack, and non-stick drip tray. Like other ovens, this one features a variety of presets including cookies, pizza, frozen snacks, potato. The functions include bake, broil, toast, and bagel, and the convection fan can be turned on or off. There’s a large digital display that shows time and temperature, but it’s not backlit, so sometimes it can be hard to read. The oven can fit a 12-inch pizza thanks to a rounded bump-out on the back of the oven and there are two positions for the rack. The 120-minute timer shuts the oven off automatically and announces itself with a single bell to let you know the time is up. The crumb tray removes easily from the outside for easy cleaning, and to keep crumbs from getting stuck in the door. The oven should be placed so the door can rest on the counter when it’s open, or the spring that holds it can become overstretched over time. A baking pan is included. This toaster oven has one very large advantage over others—it has a rotisserie than can handle up to a five-pound chicken. It has two racks, so it can hold two 12-inch pizzas or two 9- by 13-inch casseroles at the same time. The controls are simple. One knob controls the temperature, the second controls the function (bake, rotisserie, convection, or broil) and the last knob is the timer, for cooking up to 120 minutes, or you can set it to stay on. There is no keep-warm function. While there’s no dedicated toast setting, the broiler setting is used for toasting. It includes two baking pans, a broiler rack, and rotisserie accessories. When space is at a premium, this toaster and oven combo could be just what you’re looking for. It combines a traditional pop-up toaster with a small, countertop oven. The settings are simple. There’s a slider to choose either the toaster or oven, and dials to control oven temperature and toast settings. A cancel button halts the cooking process. The wide top slot can hold bagels or thick toast, and the oven can hold two open-faced sandwiches. If you're willing to spend a little more on a toaster, we recommend the Breville Smart Oven Air Convection Toaster Oven. This glamorous and sleek appliance is chock-full of cutting-edge features like 13 different cooking functions (including a dehydrate function, air-fry function, and slow cook function), two roomy oven racks, an enamel baking pan, a 13-inch nonstick pizza pan, and a broil rack. Basically, you’ll be able to fry, roast, bake, and toast all your food to absolute perfection. For gourmet chefs and serious foodies, this popular Breville toaster oven is certainly worth the splurge—online reviews are overwhelmingly positive, with hundreds of users reporting that this model “far exceeds” other toaster ovens. Our reviewers spent five hours testing a top-rated toaster oven. To get the most complete results possible, they set it up in their kitchens, toasted a variety of different foods, and cleaned it. We asked our testers to consider the most important features when using this toaster oven, from its capacity to its ease of use. We've outlined the key points here so that you, too, know what to look for when shopping. Capacity Small toaster ovens are great for small spaces or dorm rooms, but they’re also fine for people who eat a few slices of toast for breakfast or an occasional personal pizza. Bigger ovens will eat up more counter space but will allow you to cook larger amounts. Controls Consider what sort of controls (and automation features) you like. From buttons to knobs, LCDs to indicator lights, or timers to automatic shutoff features, there’s a toaster oven on our list that’s perfect for you. Extra functions While the simplest toaster ovens can toast and bake with ease, others have features that rival your full-size model. Whether you want to broil a steak or make a rotisserie chicken, or whether you like convection or conventional baking, there are toaster ovens with all the functions you need. To test this toaster oven’s versatility, one reviewer made everything from sandwiches to baked plantains. The finished products, she raved, were “hot and tasted fresh.” The size of this oven also won over our testers: “I can fit a lot at once without having to take turns to heat up or cook different foods,” one person reported. In addition, one of our reviewers liked that this toaster oven was “super easy” to clean. Although the control panel was simple to use, our testers wished it had a countdown feature to indicate when the oven would shut off. Also, some online reviewers felt that the oven’s power cord was too short.